After formative training at Seiskaya Ballet in NY, Alexandra began her professional career at Tulsa Ballet as an apprentice and worked her way through the ranks to perform principal roles in a full spectrum of classical, Balanchine and contemporary works. Her most memorable performances include the Chosen One in The Rite of Spring, the Principal woman in Val Caniparoli’s Lambarena, Ma Cong’s Carmina Burana, Nacho Duato’s Arenal and Rassemblement, Olympe in Lady of the Camellias, Myrtle in The Great Gatsby and Milady in The Three Musketeers. She has also danced Principal roles in La Sylphide, Theme and Variations, Push Comes to Shove, Carmen, Black Tuesday, Black Cake and The Concert. She enjoyed performing works by renowned choreographers William Forsythe and Jiři Kylian and having roles created for her by Val Caniparoli, Young Soon Hue, Tony Fabre, Ma Cong and Nicolo Fonte. Alexandra and has been featured in Pointe Magazine and on the cover of Dance Magazine. She was an awardee at the NFAA Arts Competition in Miami, Florida. 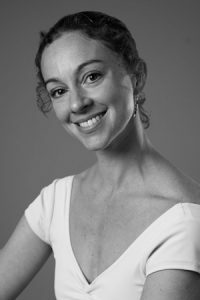 Since retiring from the stage in 2013, Alexandra has staged Ma Cong’s works at Sacramento Ballet, Ballet Des Moines, Tulsa Ballet II, and at Kansas City Dance Festival, and assisted in the staging of Rooster by Christopher Bruce at Tulsa Ballet. 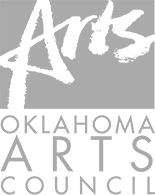 She launched the Dance Minor Degree Program at OSU Stillwater campus and taught all the Ballet, Modern and Improvisation courses required for the degree. Alexandra is currently a ballet and contemporary instructor at TBCDE and enjoys teaching outreach programs to elementary public school students.